Leslie Ray Sanders passed away peacefully at home in Hendersonville on January 3, 2014. Ray was born in Louisville, Mississippi on September 14, 1927. Ray retired from Archer Daniels Midland in 1992 after a forty year career. The highlight of Ray's career was serving as the President of the National Cotton Council and representing the cotton industry in national events. 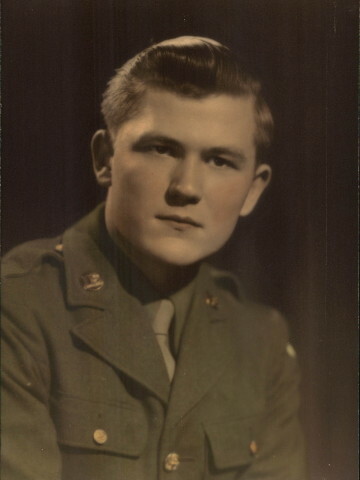 Ray was a World War II veteran who served his country in the US Army. Ray was a member of Hendersonville First United Methodist Church. Memorial contributions may be made to either his Church or the American Cancer Society. Ray is survived by his wife Ida Flo Sanders; two children Richard (Delise) Sanders of Hendersonville, Tennessee and Rebecca (Robert) Tyson of Miami, Oklahoma; grandchildren, Cori Powell of Hineston, LA, John (Holly) Tyson of Joplin, MO, Caron (Josh) Kirk of Hickory, NC, David (Kristine) Tyson of Joplin, MO, Gary (Allie) Sanders of Goodlettsville, TN; great-grandchildren, Brayden Powell, Kynlee Powell, Kate Tyson, Anna Tyson, James Tyson, Lucy Tyson, Caroline Kirk, David Kirk, Dax Tyson, Cash Tyson, Hannah Sanders, Brycen Sanders and Avery Sanders. Ray and Flo were happily married for over 67 years. I will certainly miss Ray! You two have always been there for me. You will never know how happy you made Wayne when you came to see him in Ark. Remember the ride, Ray said to me that we could order a Pizza to go and get it the next time we went around the same block!!! He was the sweetest guy and always had a smile. So many men would liked to have had his hair! Dallas said he was glad that he got to meet him and could see why I am so fond of both of you! We will try to get down when it warms up.